The new Samyang AF 85mm F1.4 FE prime lens offers stunning resolution, bokeh and excellent AF performance. This lens will be unveiled for the first time at The Photography Show in the UK between March 16th and 19th. The Samyang AF 85mm F1.4 FE will be available Spring 2019, pricing to follow. 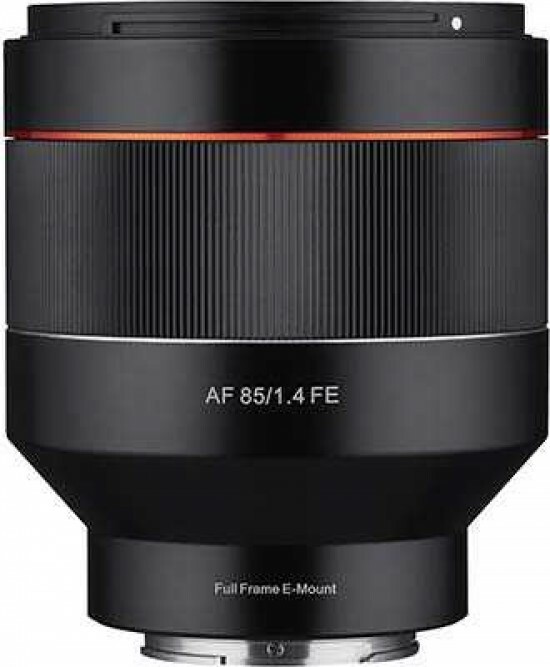 March 15th 2019: Samyang Optics, a global optics brand, introduce a new AF 85mm F1.4 FE prime lens with stunning resolution, bokeh and excellent AF performance. This is the 4th lens to be introduced in Samyang’s 2019 ‘Spring Collection’ campaign. As photography enthusiasts look for more than just optical performance, the demand for lenses capable of various artistic expressions is growing. The AF 85mm F1.4 FE (for Full-frame Sony E-mount cameras) has been developed through Samyang’s 40 years of experience in optical technology - it captures subjects in a delicate and precise manner, even at wide-open aperture. Samyang’s special lens polishing technology also enhances the artistry of photographers, producing beautifully soft bokeh with out-of-focus backgrounds. The AF 85mm F1.4 FE is the result of world-class optical technology, for which Samyang is highly respected. It has fast and accurate AF (autofocus) performance and superb resolution. The lens features 11 optical elements in 8 groups: 4x HR (high-resolution) glass elements allow the lens to be compact, yet able to provide outstanding resolution. 1x ED (extra-low dispersion) glass element effectively removes colour-fringing and chromatic aberration. The AF 85mm F1.4 FE allows you to express drama, even in low-light situations, using shallow depth-of-field and its maximum aperture of F1.4. The beautiful and attractive bokeh helps the subject stand out and give it character. In addition, the lens structure features weather-sealing to enhance anti-dust and water-protection capabilities, enabling photographers to continue shooting, even in unpredictable conditions. The AF 85mm F1.4 FE will be available Spring 2019, suggested retail pricing to follow.